are all services done at our office with our highly skilled Dental Hygienists. Additional procedures such as crown lengthening, laser gum treatment are also available in our office. Untreated gingivitis can advance to periodontitis and can eventually lead to tooth loss and other health problems. Untreated gingivitis can advance to periodontitis. With time, plaque can spread and grow below the gum line. Toxins produced by the bacteria in plaque irritate the gums. The toxins stimulate a chronic inflammatory response in which the body in essence turns on itself and the tissues and bone that support the teeth are broken down and destroyed. Gums separate from the teeth, forming pockets (spaces between the teeth and gums) that become infected. As the disease progresses, the pockets deepen and more gum tissue and bone are destroyed. Often, this destructive process has very mild symptoms. Eventually, teeth can become loose and may have to be removed. This occurs in patients who are otherwise clinically healthy. Common features include rapid attachment loss and bone destruction and familial aggregation. 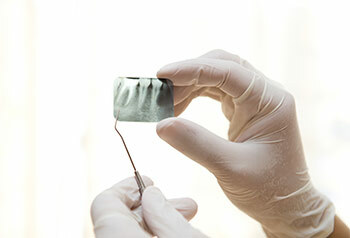 This results in inflammation within the supporting tissues of the teeth, progressive attachment and bone loss. This is the most frequently occurring form of periodontitis and is characterized by pocket formation and/or recession of the gingiva. It is prevalent in adults, but can occur at any age. Progression of attachment loss usually occurs slowly, but periods of rapid progression can occur. This often begins at a young age. Systemic conditions such as heart disease, respiratory disease, and diabetes are associated with this form of periodontitis. This is characterized by necrosis of gingival tissues, periodontal ligament and alveolar bone. These lesions are most commonly observed in individuals with systemic conditions such as HIV infection, malnutrition and immunosuppression. 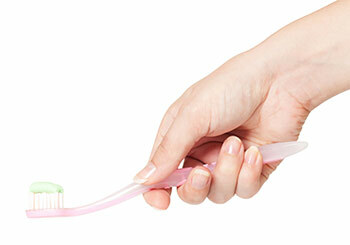 Brushing after meals helps remove food debris and plaque trapped between your teeth and gums. Don’t forget to include your tongue, bacteria loves to hide there. Flossing at least once a day helps remove food particles and plaque between teeth and along the gum line that your toothbrush can’t quite reach. Using a mouthwash can help reduce plaque and can remove remaining food particles that brushing and flossing missed. 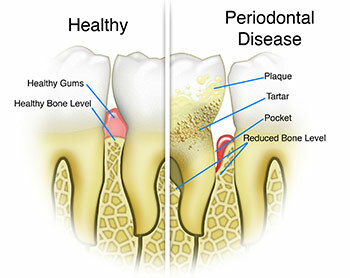 Age, smoking, diet and genetics can all increase your risk for periodontal disease. If you are at increased risk, be sure to talk with your dental professional. 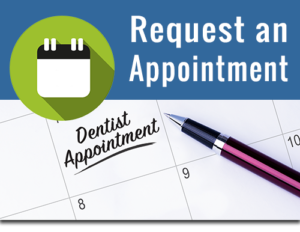 Get an annual comprehensive periodontal evaluation (CPE) from a dental professional. A CPE looks at your teeth, plaque level, gums, bite, bone structure and other risk factors for periodontal disease. Identifying symptoms of gum disease early is key to protecting your teeth and gums. Keeping up with healthy mouth prophylaxis cleanings every 6 months is important in preventing gingivitis and furthermore, periodontal disease.